Most paintings are displayed without the protection of glass, which leaves them exposed to dust, indoor smoke and other elements. 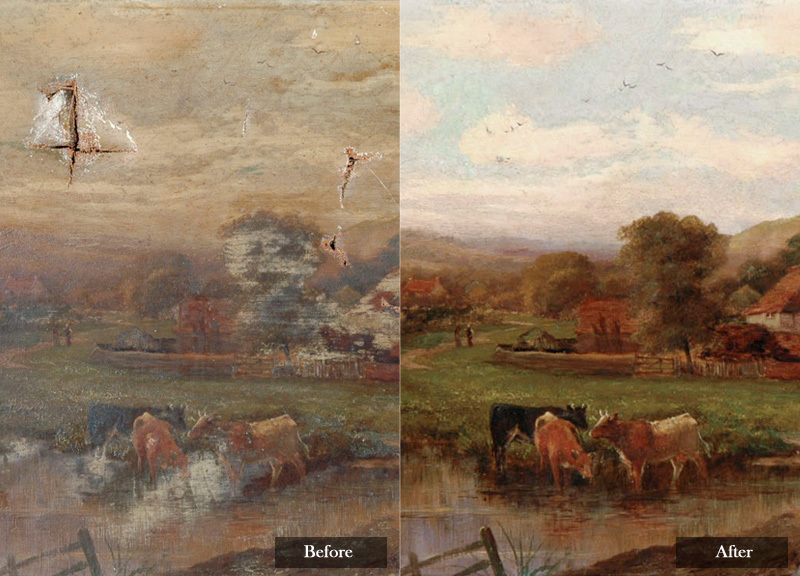 Because of this, paintings can often become soiled over time leaving the artwork discolored or dirty. In order to extend the life of your painting, it’s crucial that you take the proper steps to clean and protect its surface. 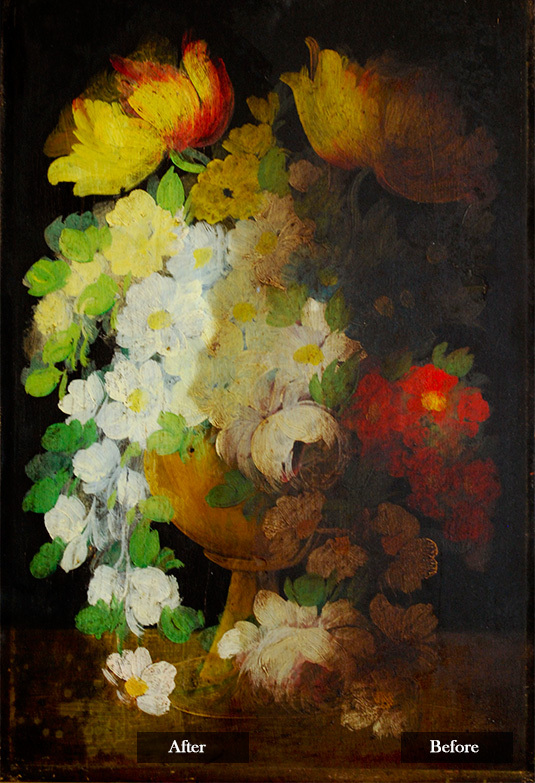 Oil paintings are often coated in varnish and after several long decades, the varnish tends to yellow and dull with age. The yellowing of varnish will not only leave the painting discolored, but it will also hide many of the original colors used by the artist. 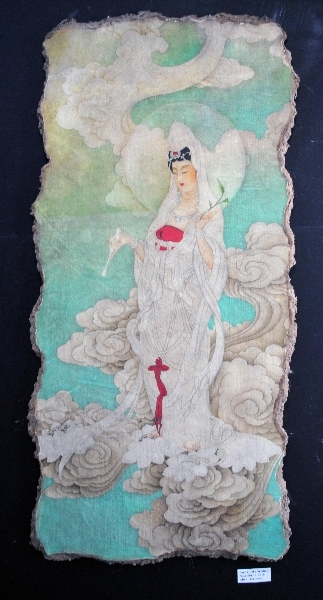 Jennifer Lis, our lead conservator, oversees all our projects and has years of art cleaning and restoration experience. 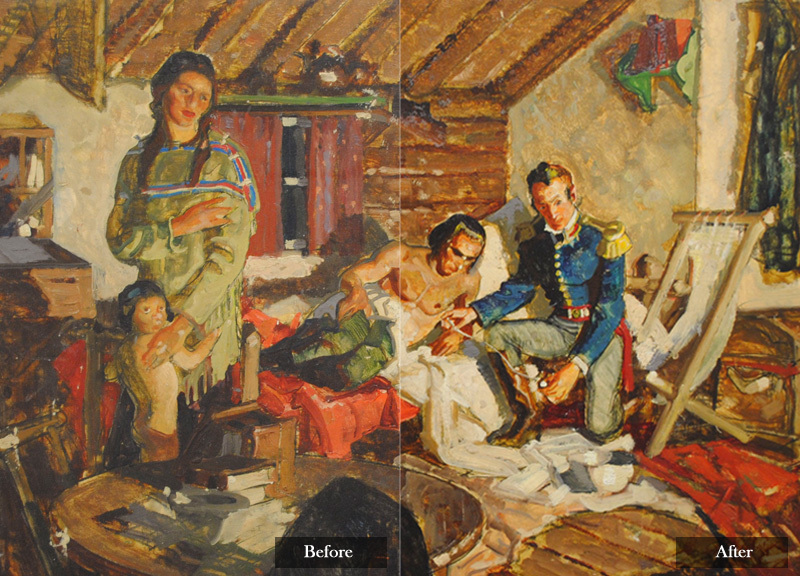 By following the guidelines outlined by the American Institute for Conservation, our team will utilize reversible methods to remove excess dirt, soot and discolored varnish, revealing the colors originally painted by the artist. Additionally, we select non-invasive techniques to protect the integrity of your artwork. 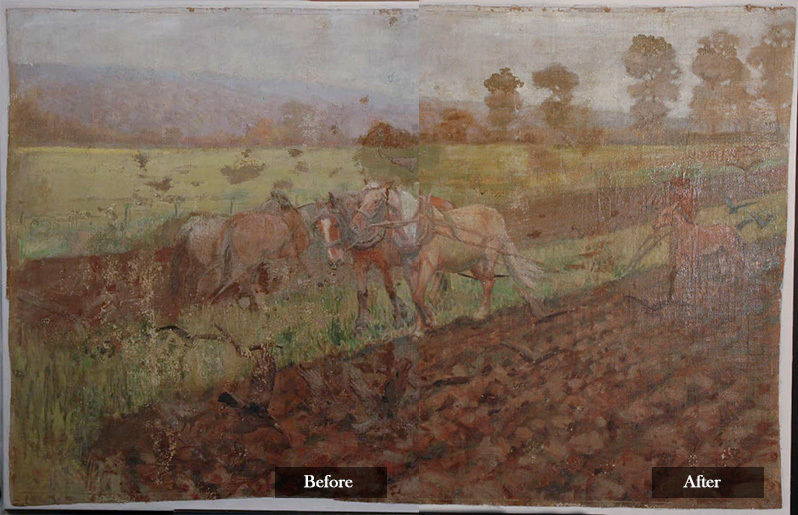 If you have questions about our art cleaning and restoration services please contact Lis Art Conservation today for a free estimate.